HOW SHOULD YOUR RETIREMENT PLANNING BE DIFFERENT? Life is nothing but a great balancing act. In our youth, we juggle as many as up to 9 subjects in school. Just as you thought the days of juggling was over, you came face-to-face with multitasking at the workforce. It doesn’t matter whether you are the dynamic type who thrives on action and challenges, or the more deliberate and steady ones. All of us need to find our balance in this fast-paced society. A balanced life comprises of a balanced heart, mind and strength. A balanced heart is easily attained with a moderate diet and healthy lifestyle. However, most women are teetering on tight ropes when they try to find their equilibrium in mind and strength. Due to our newly found status as independent women in the 21st century, we wear more hats than usual, and basically do life on our own. Yet at the same time, it leaves us more vulnerable to imbalances as we transit to the retirement stage. By the time retirement rolls around, we may not find ourselves as joyful as we desire it to be. To counter this potential pitfall, focused planning for a balanced retirement is the key to retire happy. Additional concerns such as “Have we adequately mitigated life risks, and cultivated regular income streams for our golden years?” are part of the happy retirement equation that needs addressing. In line with this year’s International Women’s Day 2019 theme #BalanceforBetter, a WORKSHOP is organised for all you ladies out there who run the world! The hands-on workshop is designed to educate the ladies on finding balance in their strength. Lee Meng and Lois Chua will share winning financial strategies that empower women to retire happy with confidence. Through this workshop, they will help you to harness your potential strength for the future, in balanced measures of course. 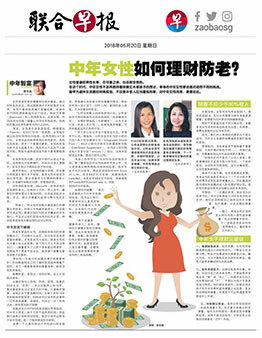 Ladies can expect to learn how their retirement should look like in Singapore, and have a go at planning their own retirement income. We believe that a balanced mind should never be neglected. The workshop is accompanied by an immersive terrarium-making session (worth $38 per pax) that encourages participants to create their personalised terrariums. Lush Glass Door will impart terrarium basics to the participants, which include its origins, which plants are suitable, and how to care for your terrarium. A therapeutic session to flex one’s creative juice, participants will get to bring home their glass terrariums at the end of the workshop. All you need is to bring yourself! A well-balanced event specially planned for you, what are you waiting for? Seats are limited. Register NOW to avoid disappointment! 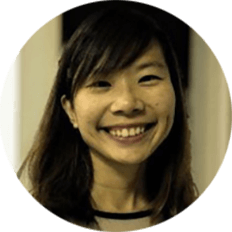 Lee Meng, Executive Financial Services Consultant, is a certified Chartered Financial Practitioner with a primary focus of using the “Building Transferable Wealth” concept in solving the financial issues for her personal clients. She also specializes in helping companies formulate a proper plan to integrate employee benefits into their culture. This is her 16th year with GEN Group, a group of financial advisors representing Professional Investment Advisory Services (PIAS). Lois Chua, Senior Financial Consultant, is a Chartered Financial Consultant who believes that everyone thinks that financial planning is important but it is often neglected as they are too busy or overwhelmed with too much information on the internet. Thus she seeks to unpack financial complexities to her clients through simple and light-hearted concepts, giving them the confidence to move closer to their financial goals. This is her 13th year with GEN Group, a group of financial advisors representing PIAS. Limited tickets available, reserve your seats on Eventbrite by clicking HERE.